홀리 홈, 베치 코헤이아 등 UFN 싱가포르 대회 출전 파이터들이 미디어데이 행사에 출석해 각자의 경기상대와 마주 선다. 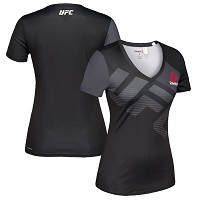 UFC Minute에서 UFN 싱가포르 대회 명승부 후보경기를 알아본다. 2014년 김동현이 존 해서웨이를 꺾고 경기력 보너스를 수상한다. 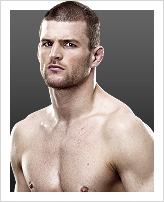 김동현은 6월 17일 콜비 코빙턴을 UFN 싱가포르 대회에서 상대한다. 카를로스 콘딧은 김동현에게 승리를 거두며 닉 다아즈를 상대로 한 웰터급 잠정챔피언 결정전 출전자격을 얻었다. 콘딧은 잠정챔피언 결정전에서도 승리를 거뒀다. 1월 2일 UFC 195 대회 콘딧이 로비 라울러의 웰터급 벨트를 노리고 도전하는 장면을 지켜보자. A Korean hero whose fans wait up all night to see his fights on television, Dong Hyun Kim carries a great weight on his shoulders in terms of expectations every time he steps into the Octagon. 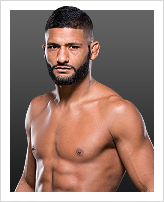 But with UFC wins over Jason Tan and Matt Brown already secured, the aggressive and exciting judo black belt nicknamed ‘Stun Gun’ has shown that he is more than ready to deliver on his promise - not only to himself but to his country. TRAINING: I am training for all situations. I want to be ready for every single second of the fight in order to avoid small mistakes. When and why did you start training for fighting? I started training MMA in 2004. I saw some videos of SHOOTO and UFC, and they were great. It really got my blood pumping. What ranks and titles have you held? Fourth degree black belt in judo. What does it mean for you to fight in the UFC? It's an honor for me to fight in the UFC, the world’s best fight event. And it will be a big opportunity to show my fighting talent to MMA fans around the whole world. Did you go to college and if so what degree did you earn? I'm in my 4th year at Yong-In University, majoring in Judo. Judo is so helpful in MMA. Accomplishments in amateur competition? I have won some prizes in many Judo matches, and won a few tournaments in Amateur MMA, Catch wrestling, and Jujitsu in Korea. 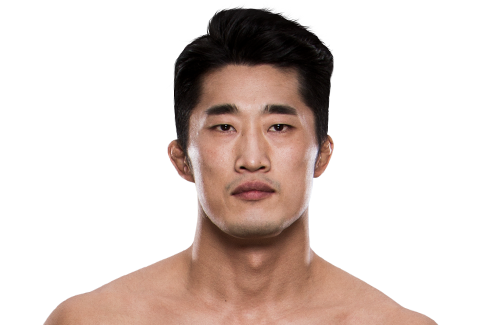 • Only second Korean fighter to compete in the UFC (Joe Son was the first) and the first to win a UFC match.